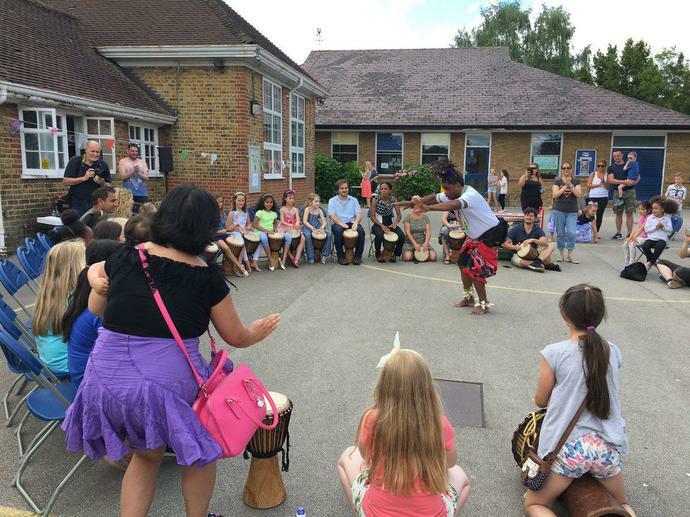 We provide at least 2 terms of djembe drumming tuition for every child at some point during their time at Wilshere-Dacre, this will usually be in Year 3. As we are lucky to have a class set of djembe drums, Mrs Parker also uses these frequently in her Music lessons, and so we aim for the pupils to have proficient rhythm skills by the time they move on to secondary school. During the sessions, they will learn a wide variety of ostinato drumming rhythms at the same time as learning how to read different rhythms and write their own.